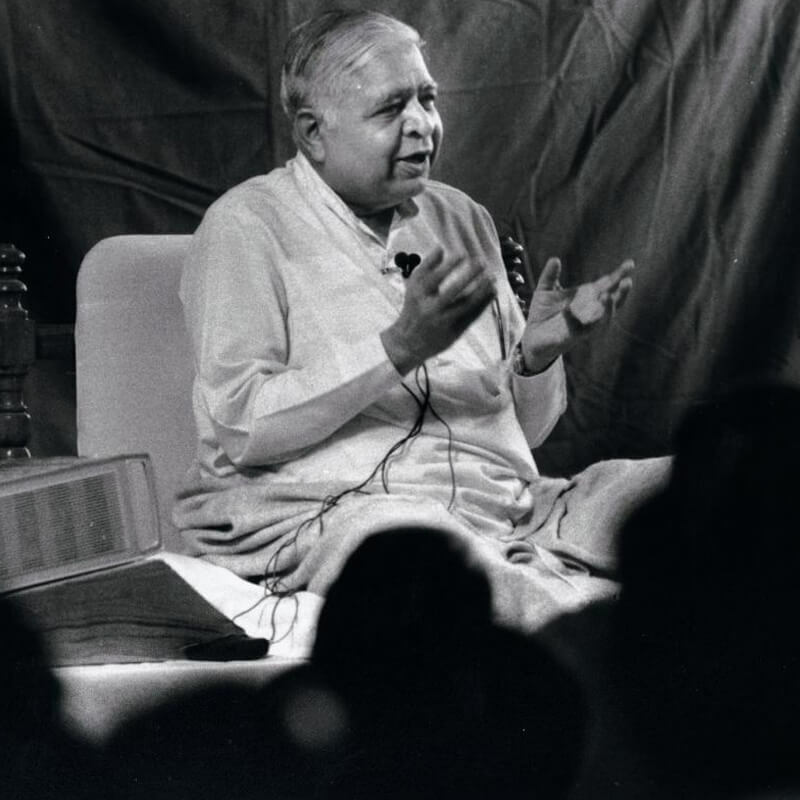 One who goes to a meditation centre to learn Vipassana should clearly understand that the first step is to objectively observe the truth about one's own natural respiration. No word should be added to the natural breath even by oversight. One can concentrate the mind and make it calm by repeating any word. But the accumulation of defilements is blazing within, just as it did earlier. At any time, these sleeping volcanoes can erupt and overpower the mind and make one miserable. Therefore, those who want to eradicate their defilements at the depth of the mind should not use any word. In other types of meditation, the use of a word has its own benefit. But it cannot eradicate the defilements at the depth of the mind. One may repeat a word to concentrate the mind, just as a mother sings a lullaby to put her child to sleep. She keeps repeating the lullaby and the child falls asleep. In the same way, when a word is repeated, the mind will become concentrated on that. But this word becomes an obstacle in the objective observation of the truth in the present moment. I can understand this obstacle because I myself used to meditate with the help of words. This has been confirmed by the experiences of others who have faced the same obstacles. A great saint from India, Kabir, said the same thing. As one continues meditating with the help of a word, an echo arises from within that is known as an ajapā jāpa (un-chanted chant). This takes the form of a fine string and the string itself becomes an obstacle in the investigation of the truth of the universe within. Therefore, one is unable to attain the Ultimate Truth, beyond mind and matter. -The string has broken; it cannot remain in the universe within. How can the word that is so gross remain! Therefore, one should not use any object that will become an obstacle to future progress on this path. One has to learn the truth about oneself at the experiential level: about one's body and mind and the interrelation between these two; and about the generation, multiplication and eradication of the mental defilements. One has to observe the truth as it is, just as it is. Then, one will keep progressing. The process of respiration is related to both: the body and the mind. By observing respiration objectively, the truth pertaining to both body and mind will become clearer and clearer. There may be initial difficulties. One who wants to eradicate the defilements from the depth of the mind will have to face these difficulties. The mind is so restless, so unsteady, not only at the surface level but also at the depth. Like a monkey, this monkey-mind keeps jumping from one branch of a tree to another. As soon as it leaves one branch, it holds another. It is so agitated, so disturbed, so miserable. It is wild; it has to be tamed. And one has to do this work very patiently. This work is similar to the task of taming a wild animal, like a wild buffalo or a wild elephant. A wise and experienced person, who has to tame a wild animal, works very patiently and persistently because the wild animal does not become tame as soon as he starts the work. At home, one cannot do this work continuously. Also, one will not be able to do this work patiently in spite of the difficulties because there is no teacher to give proper guidance. 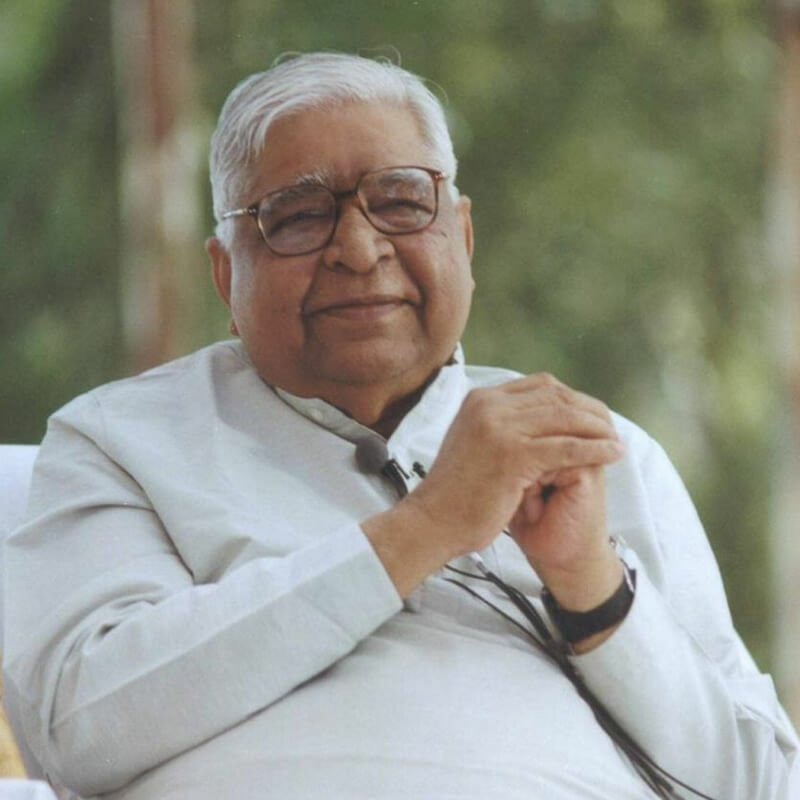 But when one joins a course at a Vipassana centre, one is able to work continuously and despite the difficulties, one keeps on making efforts to tame the mind. It is not possible for one's mind to become totally concentrated and free of defilements as soon as one starts working. The mind will wander repeatedly. And when it wanders, it will be overcome by craving, overcome by aversion. And because of this, the meditator will become more and more agitated. "Oh, what kind of mind am I carrying! It is so full of craving, so full of aversion. It does not stay in the present at all. Our teacher says that one should live in the present but my mind does not stay in the present at all. It is so miserable." One has lost patience. One has lost equanimity. One has lost the balance of one's mind. How can the work proceed? One has to work very patiently. If the mind wanders, one accepts the present reality that it has wandered. If the mind is full of craving, one accepts the present reality that it is full of craving. One merely accepts: "At this moment, my mind is full of craving." or "At this moment, my mind is full of aversion." Thus, one keeps observing the state of the mind, as it is. One observes the natural respiration dispassionately, objectively, without any personal identification. Something has happened at the physical or mental level and one understands, "I am observing" One starts the work in this way. As one progresses, one will reach a stage where this "I" will disappear, this "am observing" will also disappear. Something has happened and one understands, "It is being observed." There is no observer; there is only objective observation. Influenced by Vipassana, Patanjali, an Indian sage who lived a few centuries after the Buddha, said, "Drastā drśīmātra"-In seeing there should be only seeing. Later, this objective observation also ends, and bare awareness remains at the level of direct experience. This awareness is samma ditthi-right understanding, right knowledge. This eventually takes the Vipassana meditator to the final stage of full liberation. Initially, one has to pass through many difficulties. When a wild buffalo or wild elephant enters any human habitation, it causes so much harm, so much destruction, so much panic. But after one has tamed the wild beast, by working very patiently, it is of such immense help. Its entire strength is utilised constructively. The mind is more powerful than a thousand elephants. When it is destructive, it does more harm than a thousand wild elephants. The same mind, when tamed, will be of much more service than a thousand tamed elephants. A tamed mind will cause much happiness. But one has to work very patiently. A meditator should also understand that "I have to do this work oneself. It is my responsibility." This is not out of egoism. 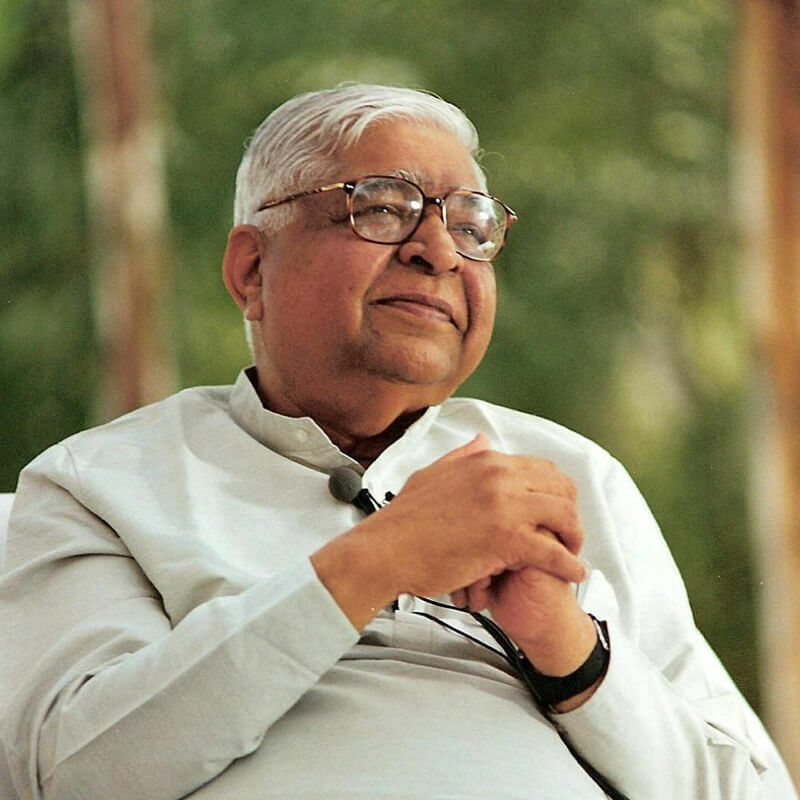 Sometimes, because it was lost from India for such a long time, some people do not understand this technique of Vipassana properly and criticise it. They consider the idea of liberating themselves by removing their own defilements as egoistic. Oh no! This meditation technique will take one to a stage where the ego dissolves completely and there is only anattā (egolessness). The idea of "I", "mine", "my soul" will come to an end. Liberating oneself is not egoism but a responsibility. Just as one bathes every morning because one is responsible for keeping one's body clean. Who else will do it? Is one inflating the ego by bathing daily? Where is the question of inflating the ego? It is one's own responsibility. If the body becomes dirty, it becomes diseased. It has to be kept free from disease, therefore, one should clean it. Similarly, the mind has become impure. Who has made the mind impure? It is one's own responsibility. One did it out of ignorance because one did not have proper understanding. Now the job of cleaning it is one's own responsibility. One has to do it oneself; no one else can do it. One often suffers from the delusion, "I am so helpless, I am so weak, how can I become liberated? Someone will have mercy on me. Someone will liberate me out of compassion." Such a deluded person should understand, "Why should the savior liberate me alone? Am I someone special? Just because I have become an expert at false praise, will the Almighty liberate me?" Why should the savior liberate you alone? The entire world is so miserable, and yet, he does not liberate anyone. It is clear that each person has to liberate oneself by removing one's own defilements. Each person has tied knots within, and these knots have to be untied by one's own efforts. Someone full of compassion might show us the way. One who has reached the stage of liberation by walking on the path, a Buddha, will show the way. But one has to actually walk on this path oneself. One has to cover the entire path by walking step by step. At the start, someone might compassionately say, "Hold my hand and walk." Someone may walk alongside for a while but still one has to walk the path oneself. The sooner a person gets rid of the delusion that someone else will carry him or her on the shoulders to the final goal, the more beneficial it is for such a person. Why would any unseen force generate defilements in the minds of all living beings and make them miserable? One has accumulated defilements oneself; one will have to remove the defilements oneself. Someone might lovingly show us the path. "Tumhe hi kiccam ātappam, akkhātaro tathāgatā." -You have to do your own work; Enlightened Ones only show the path. The Buddha could show the path because he himself had walked the entire path and had reached the final goal. That is why he had become a tathāgata (an enlightened person). Out of compassion for all suffering beings, he lovingly explained to people that it is their responsibility to walk on the path to liberation. The sooner a person understands that one has to walk on the path oneself, the more fortunate that person is. One who hopes that someone else will liberate him because he is so helpless will never walk on the path. One will have to make the effort oneself. There will be many difficulties and obstacles on the path. One may stumble and fall but one should get up and start walking again until one reaches the stage of liberation. The Buddha was dwelling at Sāvatthi, the capital of Kosala, the most densely populated city in the India of those days. Several monks and nuns as well as male and female lay people would come to his meditation centre to listen to his discourses and to learn meditation. Some people came only to listen to the discourses but never put any of his teaching into practice. One such person arrived early one day and found the Buddha alone. He approached him and said, "Sir, I have a question that arises repeatedly in my mind. I am hesitant to ask when others are present. I am glad that you are alone today. With your permission, I will ask my question". The Buddha replied, "There should not be any doubts on the path of Dhamma; have them clarified. What is your question?" "Sir, I have been coming to your meditation centre for many years and I have noticed that many people come to you. Some of them, I can see, have certainly reached the final stage and have become fully liberated. I can see that others have experienced a great change in their lives though they are not yet fully liberated. But sir, there are some people, including myself, have not changed at all. They are just as they were earlier. Why should this be, sir? People come to you, a great person, so powerful and compassionate. They take refuge in you and yet there is no change in them. Why don't you use all your power and compassion to liberate them all?" The Buddha smiled. This is what he explained every day, but if someone did not want to understand, what could be done? He tried to explain again. He had different ways of explaining. Sometimes he would explain by counter-questioning. "Yes, but your facial features and speech show that you are not from this part of the country. You have come from some other region and settled here." "You are right, sir. I am from the city of Rājagaha, the capital of the state of Magadha. I came and settled here in Sāvatthi a few years ago." "Have you severed all connections with Rājagaha?" "No sir. I still have relatives and friends there. I have business there. I visit Rājagaha many times every year and return to Sāvatthi." "Having travelled the path from here to Rājagaha, certainly you must know the path very well?" "Oh yes sir, I know it perfectly." "And your friends, who know you well, must know that you are from Rājagaha and have settled here? They must also know that you often visit Rājagaha and that you know the path from here to Rājagaha very well?" "Yes sir, all those who are close to me know that I am from Rājagaha and that I know the path to Rājagaha very well." "Then it must happen that some of them ask you to explain the path from here to Rājagaha. Do you hide anything or do you explain the path to them clearly?" "Sir, why should I hide it? I explain to them as clearly as I can: go towards the east from here and you will reach the city of Benāras. Continue onward until you reach Gayā. Proceed further and you will reach Rājagaha." "And do all these people to whom you explain the path so clearly reach Rājagaha?" "How can that be sir? Only those who walk the entire path will reach Rājagaha." "This is the path. On the way you will come across these stations; you will pass through these experiences. Proceed further and you will reach the stage of liberation, you will experience the Ultimate Truth. "I explain the path very clearly. If someone is satisfied only with my explanation and bows down three times and says, 'Sādhu, sādhu, sādhu, you have explained very well, sir.' but does not take a single step on the path, how will he reach the final goal? "One who starts walking on the path and takes ten steps will be ten steps closer to the final goal. One who takes a hundred steps will be a hundred steps closer to the final goal. And one who takes all the steps on the path will reach the final goal. You have to walk on the path yourself." All those who have started walking on the path of liberation, the path of pure Dhamma, have started walking on the path of total purification of the mind. They have started walking on the path of total liberation, the path that leads to real happiness, real peace, real harmony, real liberation. Those who walk on the path of pure Dhamma find real happiness, real peace, real harmony, real liberation from all the miseries of life.